Activate the participants whose contributions you would like to search in the “Document System”. 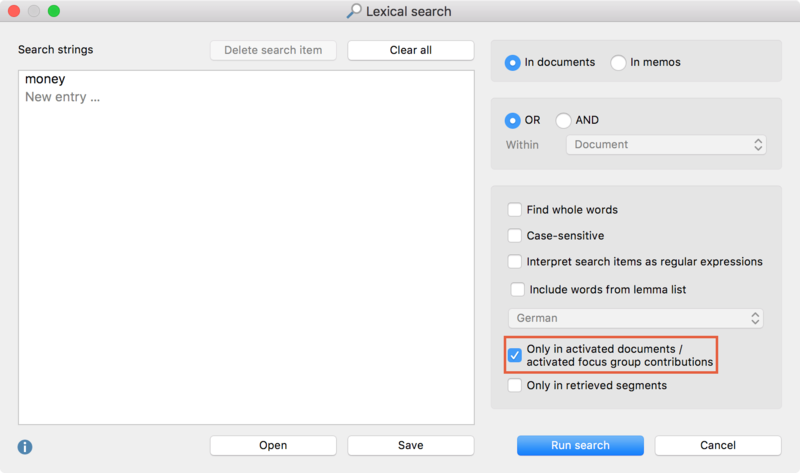 Access the function via the Lexical Search function in the Analysis tab. In the window that appears, enter the desired search terms and select Only in activated documents / activated focus group contributions. « How Does MAXQDA Support Focus Group Data Analysis?